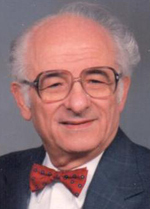 Dr. Camardese was a member of more than 40 medical, civic, and religious organizations and an advocate of individual rights and responsibilities as they related to maintaining freedom. He fought hard to keep the control of medical care in the hands of those who provide it, to preserve the rights of doctors to take care of their patients. He was honored as the Ohio Association of Family Physicians as Family Physician of the Year in 1991. Dr. Camardese died in March of 2013 at the age of 86, ultimately saddened by what he saw happening in healthcare in the U.S. because of greater and greater intrusion by agencies that do not have the best interest of patients at heart and that do not understand how medicine should be practiced. It is his dedicated work on behalf of his patients that inspires this blog. His spirit lives on in the actions of all healthcare providers who seek to care for the patient, not serve the healthcare industry. In writing here, my purpose is to continue Dr. Camardese’s work to honor patients and, by extension, health care providers, who are central to the current debates about health care reform, but whose voices are diminished by the actors and agencies making the decisions that affect them. Please note: I am not a physician. I am not a healthcare provider of any kind, and the information presented in this blog is not to be interpreted as medical advice of any kind. My own experience as a patient and my proximity to many who work in the healthcare field make me aware of the great divides between patients, practitioners, and agencies that confuse, complicate, and obscure what good care is really about. Most patients don’t really know what goes on behind the scenes of medical practice, and do not see how the decisions made there affect their care. If we are to be educated patients, if we are to take control of our own care in the “do-it-yourself” attitude promoted in all areas of American culture now, we need a greater understanding of the forces at work that affect us when we go to the hospital or doctor’s office. I intend this blog to be a forum for discussion and welcome comments and feedback from patients, practitioners, and anyone else interested in a greater understanding of what healthcare is and what it should be. If you choose to join the conversations here, please be courteous and respect others’ privacy. The comments on this blog are moderated. Spam, flames, attacks, and vitriol of any kind will not be allowed.